L/R Gina Baldwin, Stephanie Willis and Danni Webb. Weston Beamor has announced the appointment of three new members of staff to accommodate the steady increase in business across their casting, 3D print and bespoke services. 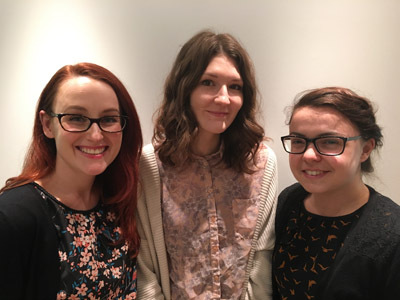 Stephanie Wills and Danni Webb, both jewellery graduates, have joined the company as 3D Printing Technicians, while Gina Ryder has joined the Customer Services Administration team. “All three of our new recruits have highly relevant skills, coupled with valuable industry experience and I have no doubt that they will add very substantially to the competence of the team. We are optimistic that their appointment will help us to provide an even faster and more reliable service to our customers,” says Glen Day, Business Development Manager at Weston Beamor. 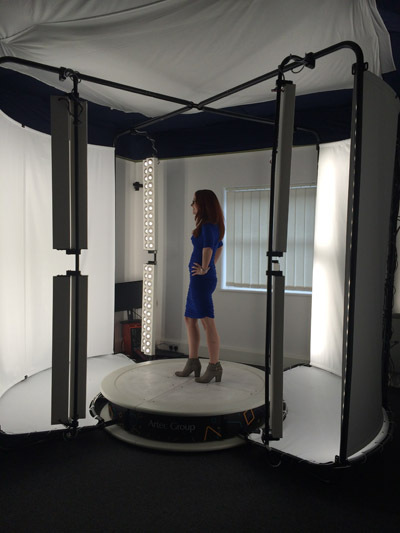 Gina Baldwin being 3D body scanned in order to create a resin model to go on show at IJL. One of the first, and very unusual, jobs for the new recruits was to have a total body 3D scan in order to create a completely photo-realistic, full colour 3D print of each of them. The whole team was scanned and was on display at IJL. “The models were great fun and a real talking point. It was impossible for the whole team to be at the show, so the models provided customers with a unique opportunity to see what the person they have been talking to on the phone, sometimes for many years, actually looks like. However, they also served to demonstrate very clearly just how far 3D scanning and 3D printing have advanced in recent years and the levels of detail that can be achieved when the same techniques are applied to jewellery,” says Glen Day. Another attraction on Weston Beamor’s stand at IJL was the appearance of diamond setter, Stuart Shearer, showcasing the company’s bespoke service throughout the event. “It is fascinating watching Stuart at work and his presence at IJL high-lights the craft element of the full bespoke jewellery-making service that Weston Beamor offers its customers. Traditional hand-skills are as important in the process as high-tech CAD design and 3D printing. WB’s services cover everything from 3D scanning and CAD design, through to 3D printing and casting, as well as stone-setting and final polishing. 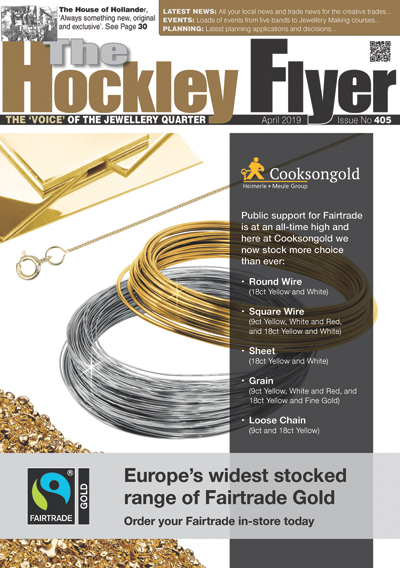 There is no part of the jewellery manufacturing process that we cannot undertake and this is the message we are keen to stress,” explains Day.